The Page Builder template creates a blank canvas for you to work with. This is useful for page builder plugins such as Beaver Builder, Elementor or SiteOrigin Page Builder. Please note that our themes do not include a page builder. Page builder templates used in theme demos are created with page builder plugins. 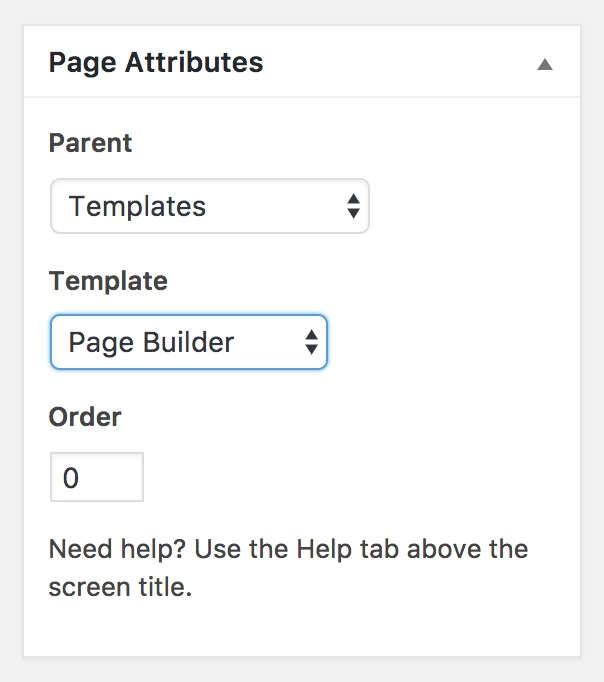 Select the Page Builder option from the Template dropdown menu and save your changes by clicking Publish.